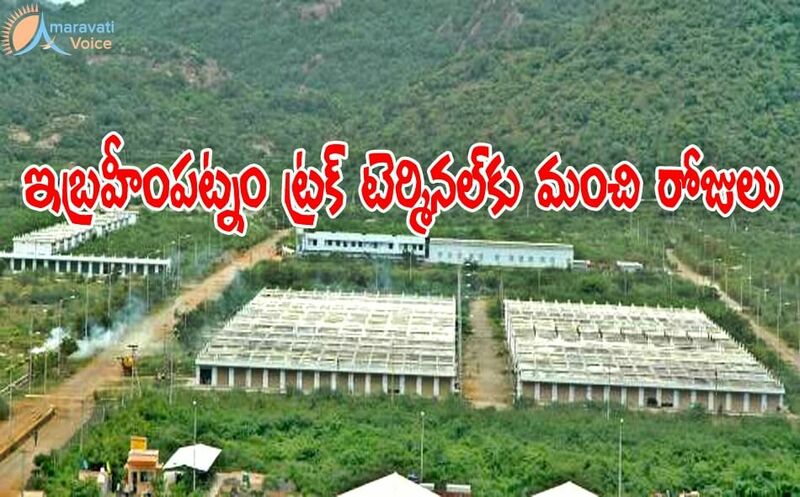 Finally Ibrahimpatnam Truck Terminal which was constructed nearly a decade ago, is going to come to use. APCRDA is going to spent around 9.42 crores, to provide good infrastructre to the truck terminal and use this. Right now, the loading and un-loading the trucks moving across Hyderabad to Vijaywada, are happening at Bhavanipuram. This is bringing more traffic problems. To overcome this, CRDA is coming up with a plan, to use Ibrahimpatnam Truck Terminal. With this more than 40,000 lorries, trucks, goods vehicles would not enter the city once the terminal is put to use. Previously VGTM UDA has spent around 16 crores for the required infrastructure. The UDA, in all, constructed 532 shops, 120 offices, 91 godowns, and 24 row godowns. As many as 67 plots admeasuring 500 and 1,000 sq. yards are also part of the terminal, which has a parking area of 11 acres. The terminal was constructed nearly a decade ago in an area of more than 75 acre.